Mum’s are generally the bomb because well, you know, they gave birth to us and all, but if you’re a daddy’s girl, nothing compares to the relationship you have with your papa. You’re sometimes seen as a little bit spoiled, but really, your dad would just do anything for you – and you freakin’ love that. You stole a lot of his clothes when you were little. And you definitely still wear them now. There’s nothing like a dad jumper to remind you of home. 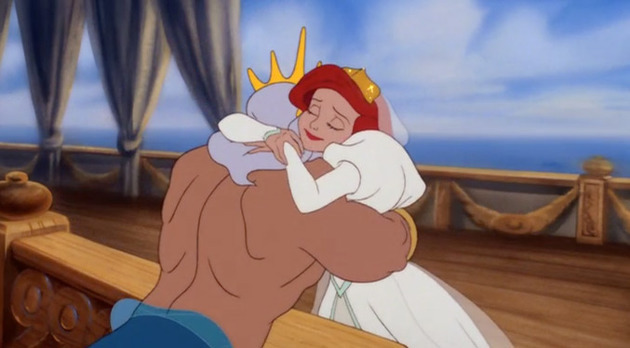 Nothing compares to a dad cuddle. NOTHING. You’d never date a guy he didn’t like. You’d trust his intuition with your life. Similarly, you’ll only introduce him if he’s good enough to meet your dad. Daddy’s opinion = everything. One phone call from him makes everything better. Every tough day is just a little bit more manageable with him on your side. He always gives the best advice. It might not always be what you want to hear, but you know he’s got your back. You know he’ll never see you go hungry. He’s always popping money in your account “just in case” and you know you could go to him if you were really in financial trouble. You like the same food. There’s usually one or two things you make together, often to the disgust of the rest of the family. They just don’t get it. You like the same music. Well, you like getting drunk together and listening to all of his records and dancing around the living room. He’s told you the same 15 stories, 15,000 times. But you’ll listen again, and smile, every time. That’s what good daughters do! You always laugh at his jokes. Even when no one else does, you’ll be the one doubled over, doing the biggest belly laugh. He’s an excellent shopping assistant. He holds more bags than mum, is well trained in not complaining, and always has his credit card at your disposal. He’ll always come and get you at 3am when you’re drunk and lost. And he never holds it against you, either. There’s always the inevitable sigh when you ask him for a lift somewhere, but he never says no. And when you learnt to drive, he kept offering to give you lifts too. The thought of having him walk you down the aisle literally fills your eyes with tears. All of the emotion and happiness. All of it. You have so many inside jokes, and always take the p*ss out of your mum together. Sorry, not sorry mum. He doesn’t always know what to say, but that’s okay. Because cuddles! He’s the only man who doesn’t squirm when you ask him to buy you tampons. That’s dedication right there. When you see your boyfriend and dad getting along famously, it makes your heart feel all squishy. D’aww, you guys. Your friends call him dad too, and he has nicknames for them. One big happy family! He always knows EXACTLY where all of your friends live. If you asked him to take you to your best friend from nursery’s house, he wouldn’t even blink. They have endless knowledge. One phone call to him settles every argument. “NOPE, dad said it, therefore it is right”. I miss my Dad … still at this age. The thought of him brings a warm feeling to my heart and soul. Love you, Dad!! This helps me to think I’m doing a good job. At least I hope I am. You are so right, there is nothing as special as the father daughter relationship. My dad passed away 21 years ago and I still miss him each and every day. I love it and I do like spoiling my girl!